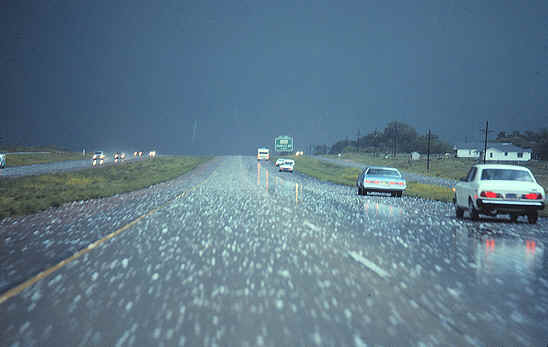 A blond was driving home after a game and got caught in a really bad hailstorm. Her car was covered with dents, so the next day she took it to a repair shop. The shop owner saw that she was a blond, so he decided to have some fun. He told her to go home and blow into the tailpipe really hard, and all the dents would pop out. The first blond told her how the repairman had instructed her to blow into the tail pipe in order to get all the dents to pop out. I can see that, rolling up the windows would solve the problem – maybe they shouldn't let blondes live together. Thanks Sandee for the great chuckle this morning. That is terrific. Silly girls. But then, maybe it did work. Sandee, you and Zane have a perfect day. Lol! The shop owner had his fun. He am sure he will be rolling on the floor laughing away! Heeheehee! Have a funny Saturday! Oh how I love blondes. They are so intelligent for real not like in the jokes. Correct my friend? Ha,ha,ha. Have a day after Christmas Sandy & Zane. See ya. Having 2 blonds share living space should not be allowed. Merry Christmas and new year wishes well in advance ! Smart roommate! Lol! Happy Saturday! Hahaha…love me some blonde jokes. Thanks for the smiles. Blondes have no common sense.